Hello! And happy new year! (it’s not too late to say that right?) Tom aka nebulousflynn here to introduce the first 3D scanning challenge of 2017. The theme? Fruit and vegetables – we want you to help us fill a “Cornucopia” or “ Horn of plenty” with amazing scans of nature’s finest offerings. More info and rules below but the basic gist is: 3D scan a piece of fruit or veg, upload to Sketchfab and set ‘Downloadable’, tag with #3DScanFruitVeg to enter. The cornucopia (from Latin cornu copiae) or horn of plenty is a symbol of abundance and nourishment, commonly a large horn-shaped container overflowing with produce, flowers or nuts. You can use any 3D scanning method you wish but if you new to this kind of thing we are recommending you download a free trial of Agisoft’s PhotoScan for Mac or PC. Once you’ve created your 3D model, upload it to Sketchfab, tag it #3DScanFruitVeg and set it to Downloadable. Share what you’re planning to scan on the challenge thread in the forum, so that we can get a diverse collection of fruits and vegetables. Models must be set to Downloadable to take part in the challenge – partly so we can combine the top entries in our cornucopia scene but also because we are encouraging you to create a legacy of free and open 3D content that can be used by artists, game devs and hobbyists. Submit your entry before Monday, January 30. Agisoft has generously offered a PhotoScan Standard, Stand-Alone license for the winner of this contest! 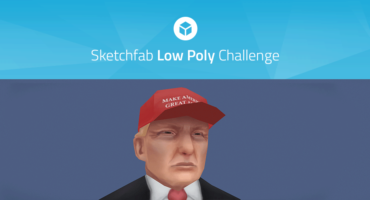 The winner will also receive 3 months of Sketchfab PRO. 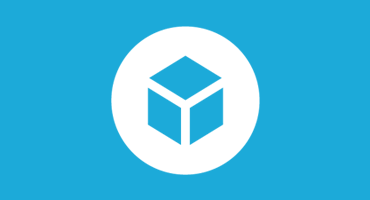 In case you’re new to 3D photo-scanning (photogrammetry), I’ve made the quick guide below to get you started – all you need is a digital camera (or smartphone) and a photogrammetry app, like the PhotoScan free trial version. I chose a subject that would be photogrammetry friendly – not too shiny, fair size. I mounted it on a skewer so I could photograph all around the subject. I downloaded the results and used a 3D tool to crop out extra geometry and decimate it to around 25k faces. I exported as an “OBJ” with a 4096 texture on the ‘Med’ setting. 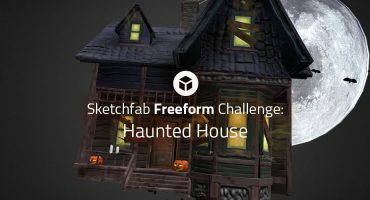 Upload to Sketchfab, light and done! … where photos were taken from in 3D. No ripping of models from anywhere on the Internet, all entries must be original work. Using work that is not your own will immediately disqualify you. Contestants models must be uploaded to Sketchfab and tagged #3DScanFruitVeg to be considered. The winners will be contacted by Friday, February 3rd. Fun contest! Is there a preferred polygon count for the final model? You mention that yours is 25k – should we shoot for that? Any poly count is fine but there’ll have to be some decimation to fit everything into one scene. 25k is a rough guide though. Are you sure you didn’t forget this bit in the rules from the movie scene VR challenge? Ahhh the joys of copy/paste… Thanks for that, I’ll remove it! Are there also multiple entries per person allowed? Yes, you can scan as many pieces as you like.